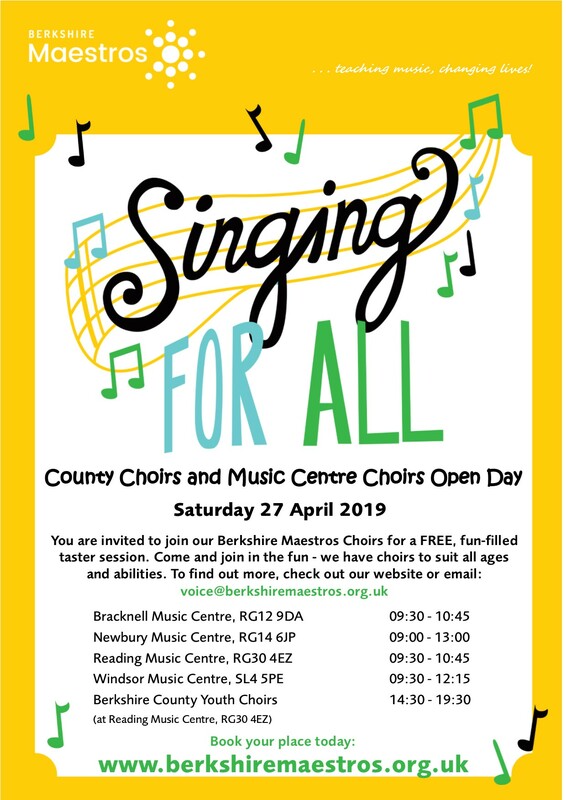 All of the music centre and county choirs at Berkshire Maestros would like to invite those who enjoy singing along for a free taster! Singing is good for your health, lifts your spirits and is a great way to make friends. Come and join in the fun - we have choirs to suit all ages and abilities. Berkshire County Youth Choirs meet at Reading Music Centre on Saturday afternoons - to book a taster for one of our county choirs please select Reading Music Centre when making your booking. Taster sessions are free but need to be booked in advance through TicketSource.